About Mr Robot(Synopsis): This techno thriller follows Elliot (Rami Malek), a young programmer who works as a cyber-security engineer by day and a vigilante hacker by night. 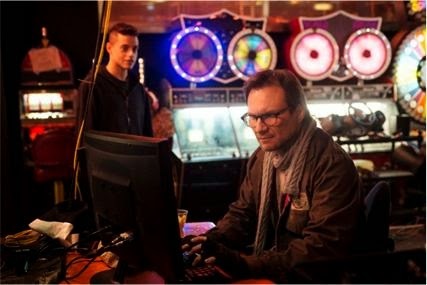 When the mysterious leader (Christian Slater) of an underground hacker group recruits him to destroy the firm he is paid to protect, he must make the decision of a lifetime. MR. ROBOT also stars Portia Doubleday (“Her”), Carly Chaikin (“Suburgatory”) and Martin Wallström (“Simple Simon”). **Check out Pilot (also available in Spanish/en espanol) or watch on VOD*depending on your cable provider. Don't miss the series premiere Wed. June 24 at 10pm et/9ct only on USA.